These 16" heavy-duty strap hinges will give your barn an elegant classic look that will set it apart from the rest. These heavy-duty hinges will support door weighing up to 250lbs. Hinges are sold on an individual basis, but should be used in pairs to help support the weight of the doors. Turn your barn into a showplace with the help of these classy looking barn door hinges. Uses include dutch, barn, stall doors, tack rooms, etc. - Wow Iam so happy with the hinges I purchased from Ramm what a great product. I'm so pleased with their strength and durability. - I was so surprized by the size and quality of these hinges. They look wonderful. The picture does them no justice. 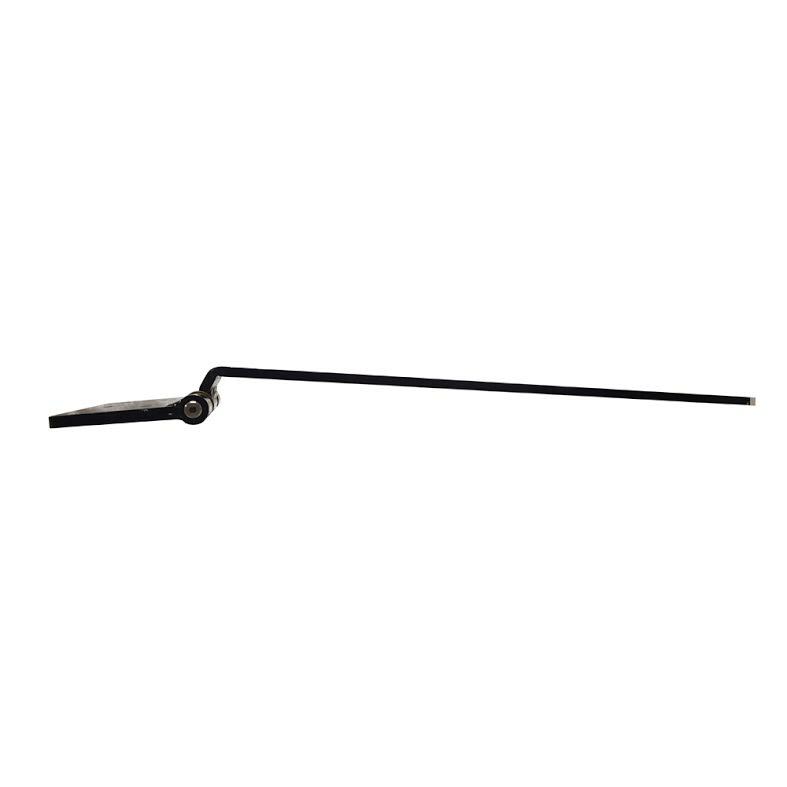 - Used on Dutch doors and very nice craftsmanship. - I USED THESE FOR A PROJECT ON MY PORCH AND THE CLASSY STYLING ADDED JUST WHAT I NEEDED TO MAKE THE PROJECT POP..THANK YOU SO MUCH RAMM FENCE. 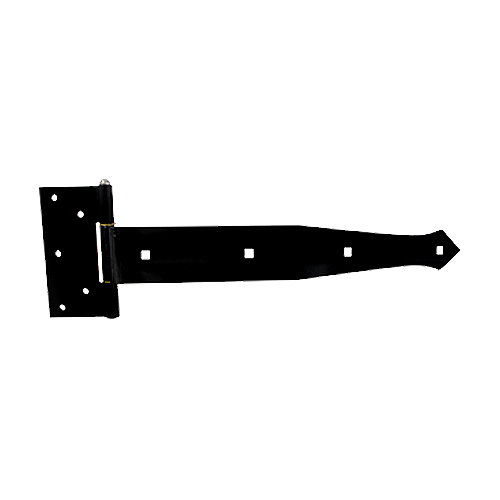 Dimensions: 3/16" x 2½" x 16"
Mounting Plate Dimensions: 6" x 2¾"
Material: Steel, Pintle Pin. Available with disc, non-template. Strap & Pintle Finish: Powder Coated Black. Hinge Support Strength: Rated up to 250 lbs. per hinge. *Note: They require mounting lag screws or bolts, which are not included. Hinges are sold individually. Item only includes only one hinge.